There are many reasons that root canals are a common procedure that we do in our office. What is a root canal you maybe asking? What the root canal does essentially, is hollow out the interior of the tooth. Removing the pulp, nerve, and any veins that maybe present inside. If tooth decay has resulted from a long developing cavity. The tooth has become infected from gum disease. Or a simple break has exposed the nerve. This procedure is nothing to worry about, with modern anesthetics the pain is relatively nothing, and the procedure can be done in one visit. We are a premier dental implant center in Wyoming, Michigan, and specialize in replacing lost teeth and teeth whitening. You may be missing teeth from a variety of reasons. Perhaps an infection lead to necessary tooth extraction, there was some kind of trauma that lead to removal of the teeth, or perhaps you were looking to replace your aged teeth with a more practical and aesthetic solution. The easiest and quickest solution to covering up and repairing a broken or decaying tooth is to put a tooth crown in the affected area. This is very quick and painless, compared to the other treatments mentioned on this page. Affordable dentures are those that are easily installed by your local dentist. Same-day dentures are definitely possible if you’re looking to fill in a few missing teeth, but cheap dentures in a day are not recommended if you are looking to replace a full set of teeth. The more teeth being replaced, the more care and time a professional practitioner will need. Once a patient has this procedure done, it’s important to care for them so that they can withstand the test of time. For this reason we also help patients with denture repair, and provide a wealth of follow-up services to keep your investment protected long into the future. We traditionally recommend dentures when you need to replace the full set of teeth, but if you’re looking for a solution that just fills in smaller gaps we suggest dental implants. If you have a history of dental complications and advanced treatments, you may be interested in looking at dental implants insurance. This will hedge your cost and protect you against having to pay large out of pocket costs to replace a few missing teeth. A cheap tooth implant procedure replaces teeth that are missing due to tooth decay or gum disease. A dental implant is affixed to jawbone through titanium screws. For various reasons people are always having one or multiple teeth removed from their mouth. This can be elective, in order to correct a misaligned bite, improve the overall look and feel of the smile, or to remove a heavily decayed tooth or teeth due to a tooth abscess. Tooth extraction cost is relatively low, owing to highly advanced technologies and we have studied and perfected over the years. For young adults or those that have not had wisdom teeth removal, it is a good procedure to consider for long-lasting dental health. Wisdom teeth removal helps young adults facilitate more free growth and prevents from impaction of teeth overall. If your child or you are considering orthodontics, y our orthodontist might suggest that wisdom teeth are removed to before beginning treatment. 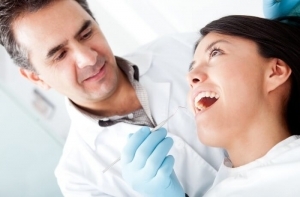 Wisdom tooth extraction cost will often be covered by insurance. This is due to the long-term savings that results from having these teeth pulled early on. Due to the evasiveness of wisdom teeth extraction, sedation dentistry is used to put the patient to sleep. This allows for molars to be removed from the mouth in one dental visit. The most important thing to do is get with your dentist and discuss the options available to you. If you are shopping for a dentist near Wyoming or Grand Rapids, Michigan, then by all means give us a call or submit a request for an appointment. We’ll do our best to get you the day and time ideal for you. Simply submit our form and we’ll get back with you as quickly as we can!